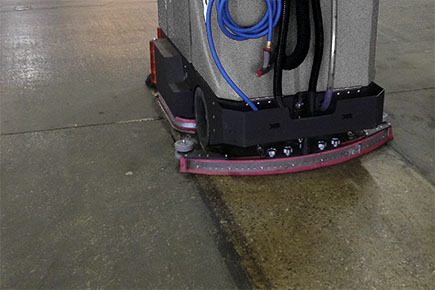 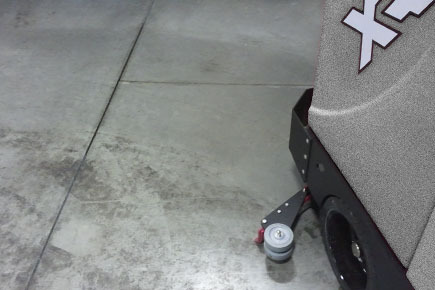 The Central Command II systems on all of our Rider Scrubber Dryers include: a LCD readout, on-board machine diagnostics, and 3 different hour meters. 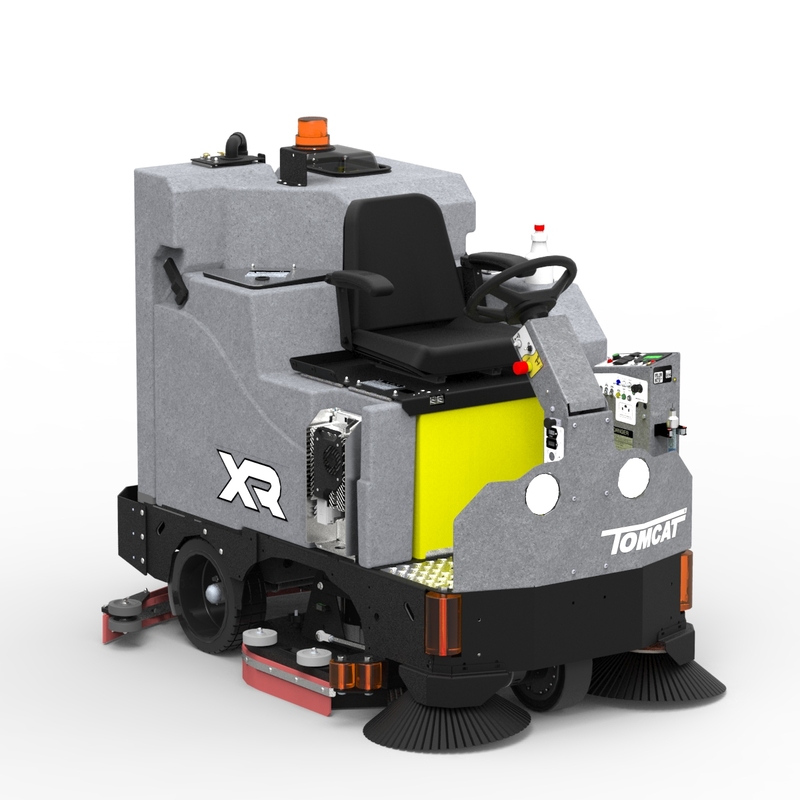 Also, if machine batteries become too discharged, the XR automatically shut down all systems except "transport", enabling the operator to still make it back to the charge station. 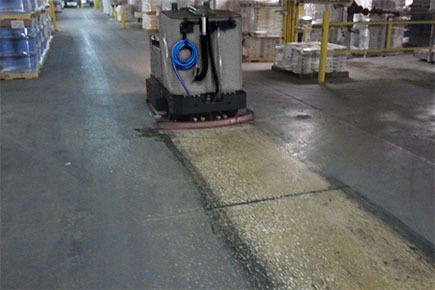 Disk Brush Size: (2) 17", (2) 20", & (2) 23"
These images demonstrate how applicable the Tomcat XR Scrubber Dryer really is. 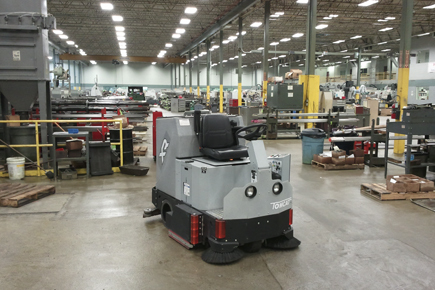 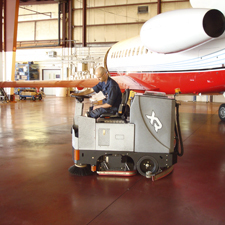 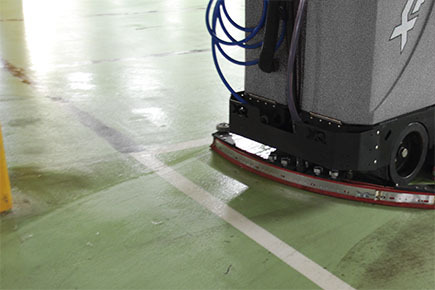 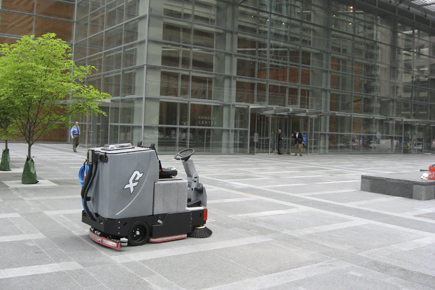 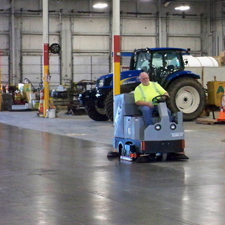 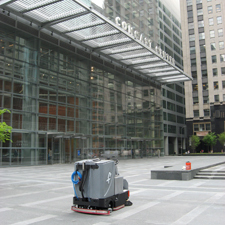 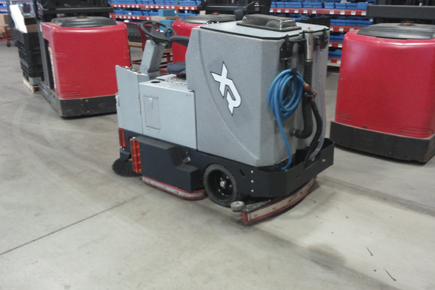 From being used in Storage Facilities, to the outside of a Coporate Headquater, to even a Distibution Plant, these machines are tough and can handle almost anything you can throw at it!